NOW OPEN IN THE NORTHLAND! LUKAS WINE AND SPIRITS SUPERSTORES. each lukas store is BIGGER than a football field with the largest selection for 500 miles. We also have the most knowledgeable staff with certified sommeliers, cicerones and spirits experts to guide you. and our SOUTH KC store comes with its own tavern - complete with 64 craft beers on tap. Lukas Wine & Spirits Superstore stocks over 2000 different beers, including a couple of hundred in cold kegs. Our 60 door cooler is so big, it's powered by the largest private solar array in Kansas. Not only do we have 6,000 different wines, we have a Certified Sommelier on staff to help you find the perfect bottles. We often get exclusive releases and amazing deals, so sign up by clicking here! Kansas City has become a craft distilling destination, and Lukas has them all. Looking for hard-to-find whiskeys and other premium spirits? 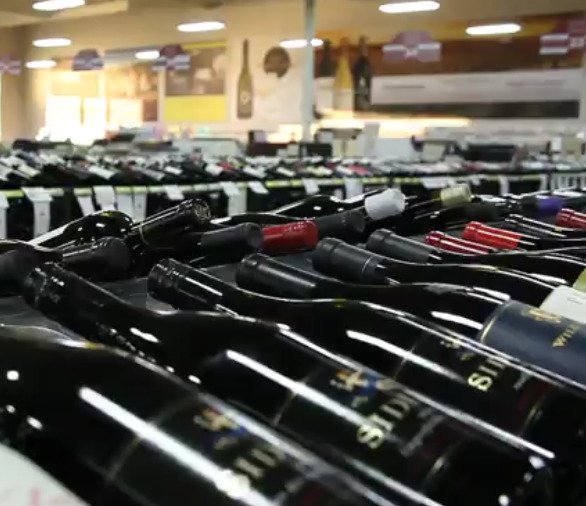 Look no further than Lukas Wine and Spirits Superstore.